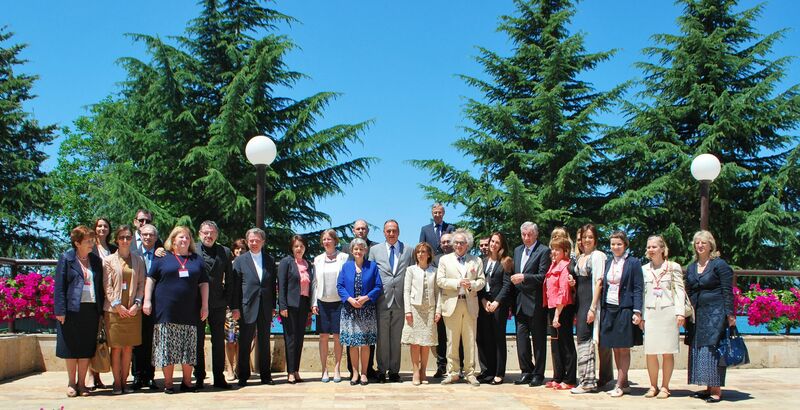 OHRID/SARAJEVO - The Ministers of Culture of Bosnia and Herzegovina, Croatia, Montenegro and Serbia handed over a joint nominations dossier to the United Nations Educational, Scientific and Cultural Organization (UNESCO) Secretary General, Irina Bokova. The “Stećci Nomination Dossier” represents an unprecedented example of regional cooperation in the field of culture and is a joint official document asking for the medieval gravestones in the region to be included into the UNESCO world heritage list. The meeting of the Council of Ministers of Culture of South East Europe (CoMoCoSEE), held today in Ohrid, recognised that culture and cultural heritage are an increasingly important component of knowledge-based economies. They are not just the main pillars of cultural identity, but also carry a substantial capacity for generating jobs and boosting export. The Secretary General of the Regional Cooperation Council (RCC), Goran Svilanovic, emphasised that culture can be a serious instrument for growth in the region. Mr Svilanovic and Ms Bokova duscussed possibilities for revitalisation of a regional Summit of heads of states in 2015. That meeting would be fully dedicated to culture and the preservation of cultural heritage. Raising these issues to the highest political level would not just boost regional cooperation in this field but also have an overall positive influence on the region, said Mr Svilanovic. The Secretary General of the RCC also met the Serbian Culture Minister, Ivan Tasovac, who asked the Regional Cooperation Council to assist with the revitalisation of the network of National museums in Southeast Europe, many of which are closed at the moment.